MM1-0212H is a GaAs MMIC double balanced mixer that is optimized for low frequency applications. 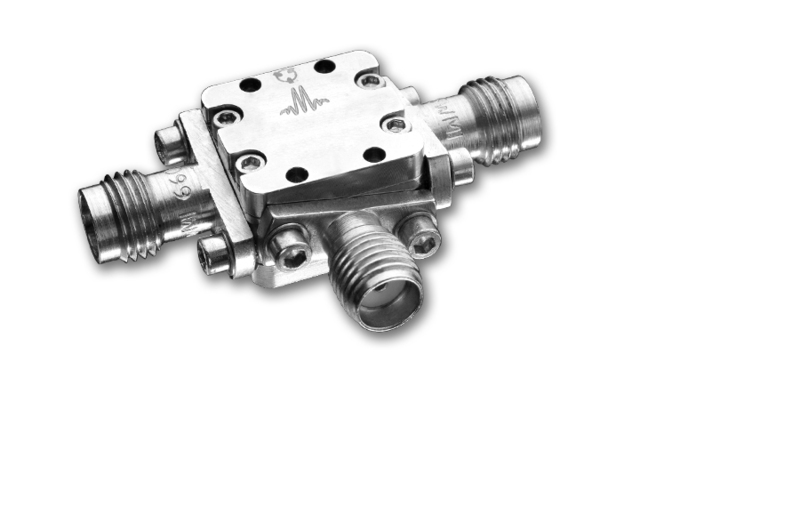 MM1-0212H is a low frequency S band mixer that works well as both an up and down converter to through X band. This mixer offers low conversion loss and high LO to RF isolations at moderate LO powers. The sister MM1-0212S is recommended for applications which demand higher linearity. The MM1-0212L is recommend for low power applications. The MM1-0212H is available as both wire bondable die and as connectorized modules. The electrical specifications apply at TA=+25°C in a 50Ω system. Typical data shown is for the connectorized S package mixer used in the forward direction with a +15 dBm sine wave input. Specifications shown for configuration A (B).